CBeebies Bedtime Stories is a much-loved favourite for many families across the UK, seeing the likes of Tom Hardy, Eddie Redmayne and Dolly Parton read adorable children’s stories as little ones prepare to go to sleep. 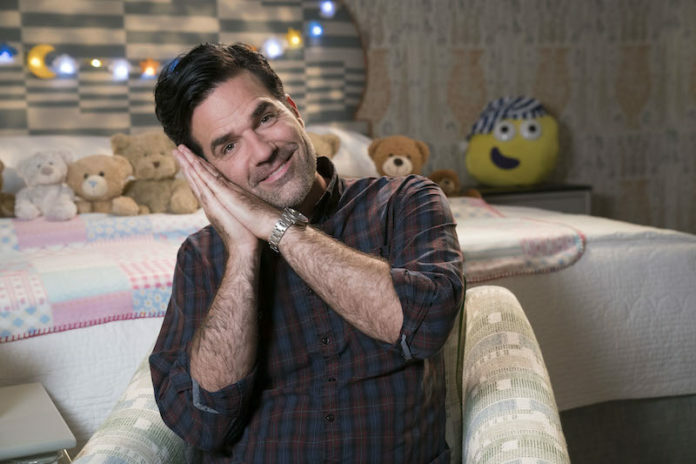 And now, in a first for the hit TV show, comedian Rob Delaney will be signing a bedtime story in Makaton, a language that allows people who cannot speak to communicate easily. The comedian, actor and writer – who is best known for his Channel 4 series Catastrophe – will be reading and signing Penny Dale’s adorable children’s book Ten In The Bed, which follows the tale of 10 cuddly friends who are getting ready to go to sleep. 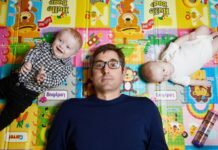 Little ones will be encouraged to join in with the lively, counting bedtime rhyme, as Rob signs in Makaton, the language he used to communicate with his two-year-old son Henry, who could not speak due to a tracheotomy. The language helps children who struggle to grasp speech and language learn to develop their communication skills at a more gradual pace. Rob and his wife Leah tragically lost Henry in February this year, after he was diagnosed with brain tumour in 2016. Rob Delaney joins a long list of stars to have read a CBeebies Bedtime Story, including Orlando Bloom, Tom Hardy, Sir Elton John, US actor Chris Evans, Jessica Ennis-Hill, George Ezra, Suranne Jones, David Tennant, Damian Lewis and Tim Peake.